A team of Dutch scientists is firing a laser through carbon dioxide to unravel how carbon dioxide can be efficiently converted into the building blocks of sustainable fuel. A lot still needs to happen if we want to switch to sustainable energy in the future. One of the biggest challenges is the storage and transport of sustainable energy. Wind and solar energy, for example, are difficult to store. A team of Dutch scientists is taking a different approach than conventional electrical storage. They want to convert carbon dioxide into the gas carbon monoxide. Via existing chemical processes this gas can subsequently be converted into traditional fuels such as methane or even gasoline. FOM Institute DIFFER, Radboud University in Nijmegen and Eindhoven University of Technology are jointly investigating the most difficult step in the process of producing sustainable fuel from carbon dioxide, namely the reduction of CO2 to CO. The researchers are focusing on efficient CO2 dissociation in a microwave plasma. This reaction can be so efficient because of so called 'ladder-excitation', where molecules get excited to higher and higher vibrational states as a result of intermolecular collisions until the CO2 dissociates. It is a very efficient reaction but little is known about it at present. 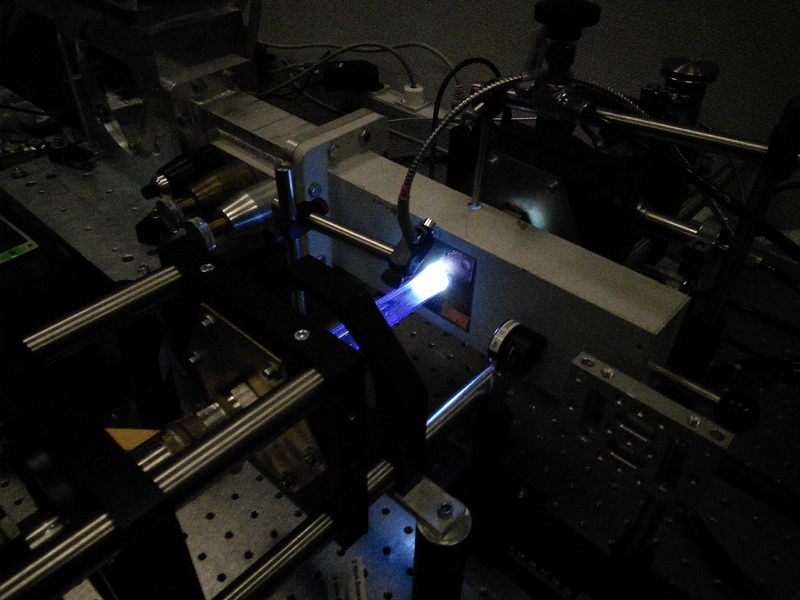 The researchers are using the free-electron laser facility FELIX to find out more about ladder excitation. They are using FELIX to fire infrared pulses through the plasma. As a result of this, a number of CO2 molecules are excited to a higher vibrational level. These 'extra' excited molecules then enter the process of ladder excitation and are converted into carbon monoxide. In follow-up experiments the researchers want to investigate ladder excitation in even greater detail still. For example, they will examine the role of the different vibrational transitions. Ultimately the researchers want to increase both the energy and conversion efficiencies. So far nobody in the world has managed to do that. FELIX fires short infrared pulses through a plasma of carbon dioxide. That allows Dutch scientists to investigate exactly how carbon dioxide is converted into carbon monoxide.